Well I am so delighted to announce the unveiling of the wonderful new website. How many days spent waiting for decent light to photograph the cards. Why do it in November? How many hours deliberating over split infinitives. Would a dachshund care? All this under the patient direction of Chris at Grey Fox Web Design. All happening while builders hacked away at the kitchen walls. My nerve centre so full of rubble and dust and causing not only the grumpy dachshund discomfort in his home. But it now casts much more light on how London Pooch looks online and in print. More personalised options to be included soon. The new website offers an easier way of getting discount on buying 6 cards or more. Postage rates will be free on all purchases up to £30 in the UK. 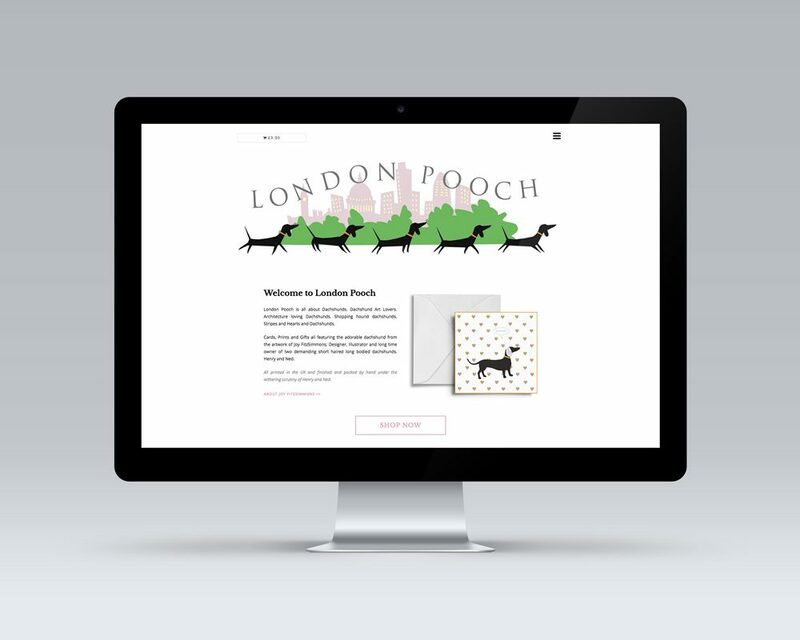 Rather we see London Pooch gifts adorning your walls than crammed onto mine. The MC Dasher card was launched just in time to complement the latest Exhibition at Dulwich Picture Gallery – The amazing World of MC Escher. Every pun intended as a true compliment. Also a nice press editorial in the Saturday Telegraph Magazine for the Dachshund Pollock Tea Towel.